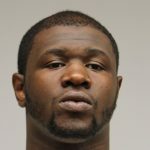 Portsville– The Delaware State Police have arraigned one suspect in connection with the death of a 19-year-old Laurel man, while the second suspect still remains at large. 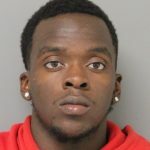 On Saturday, September 29, 2018 Traevon Dixon, 21 of Laurel was arraigned before the Justice of the Peace Court 3 for Murder First Degree and Possession of a Firearm During the Commission of a Felony. He received a $160,000.00 cash only bond and remains in custody at the Sussex Correctional Institution. Troopers still have been unable to locate Jerry Reed who currently has active warrants for Murder First Degree, Possession of a Firearm During the Commission of a Felony and Possession of a Firearm by a Person Prohibited.